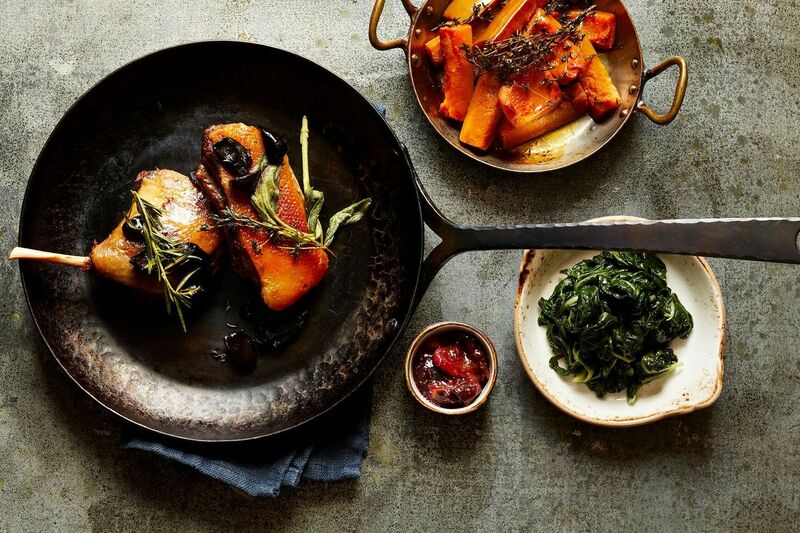 Celebrity chef Tom Colicchio is set to open his first new restaurant in more than two years, this time on Long Island. Small Batch, opening tomorrow, will serve American fare made from locally sourced ingredients in a rustic, 180-seat space at Roosevelt Field in Garden City. The space, modeled after a farmhouse, will feature an open kitchen and wood-fire grill churning out an American menu with an emphasis on Long Island regional products. Starters include honeycrisp apple and delicata squash with honey, smoked chile, and country ham. There will be a raw bar and seafood mains, like grilled swordfish, roasted cod, and braised tuna. The Top Chef judge also has four kinds of pasta on the menu, along with meaty mains like braised pork belly, Long Island duck, smoked short rib, and grilled lamb sausage. A portion of the menu is dedicated to the wood-fire grill, with offerings like a half chicken, bone-in lamb loin, and a dry-aged New York strip.